Check this video to see the presets in action. 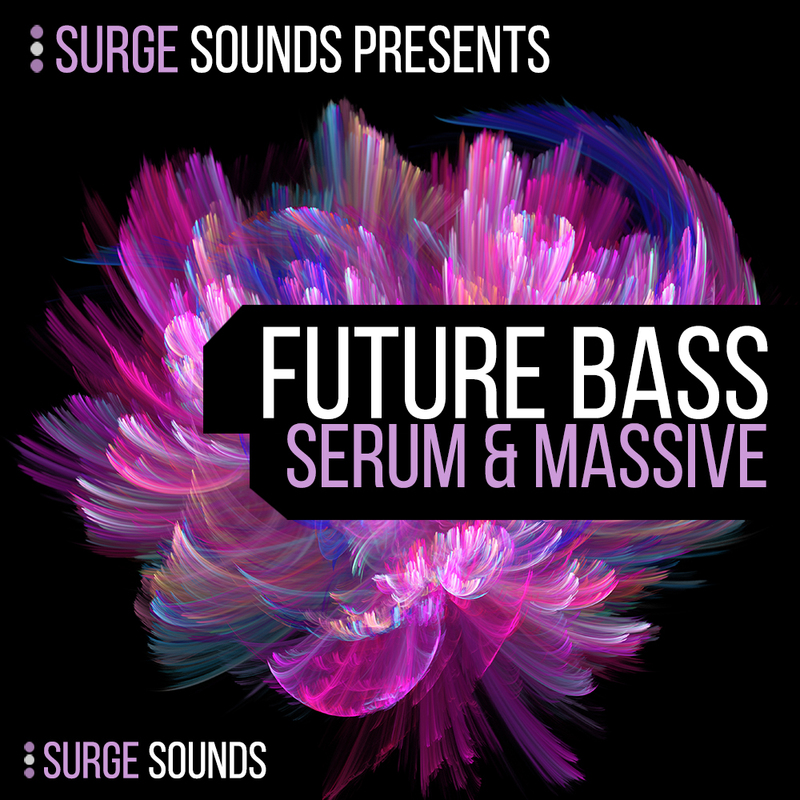 Future Bass | Serum & Massive is the next level of engaging and innovative sounds for Xfer Serum & NI Massive. Surge Sounds is always pushing to provide cutting edge and top notch presets to enhance your creativity and be truly valuable to you. Inside this soundbank you will find a whopping 250 Future Bass presets designed with maximum care and crafted to boost your productions to the next level! We are confident these remarkable patches will draw out engaging and mind blowing ideas. 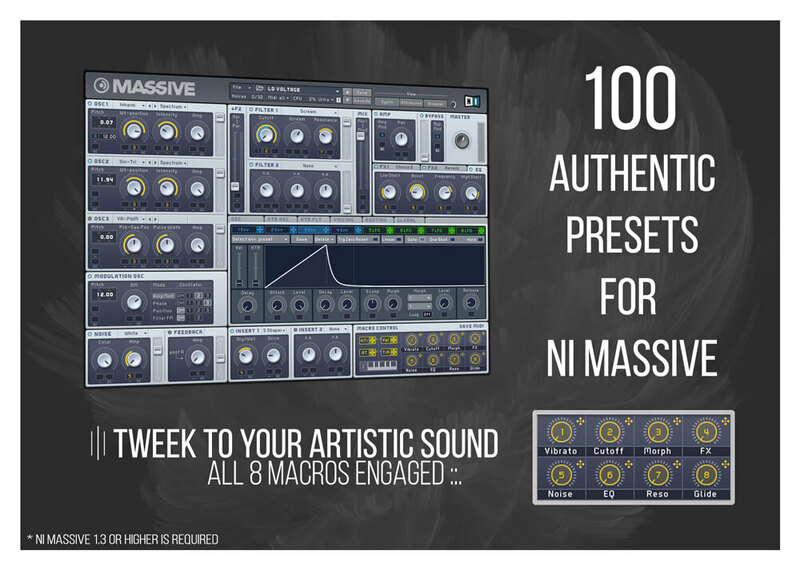 This soundset provides 150 cutting edge patches for Xfer Serum and 100 ground breaking presets for NI Massive, all which were expertly crafted to surpass the current creative boundaries. 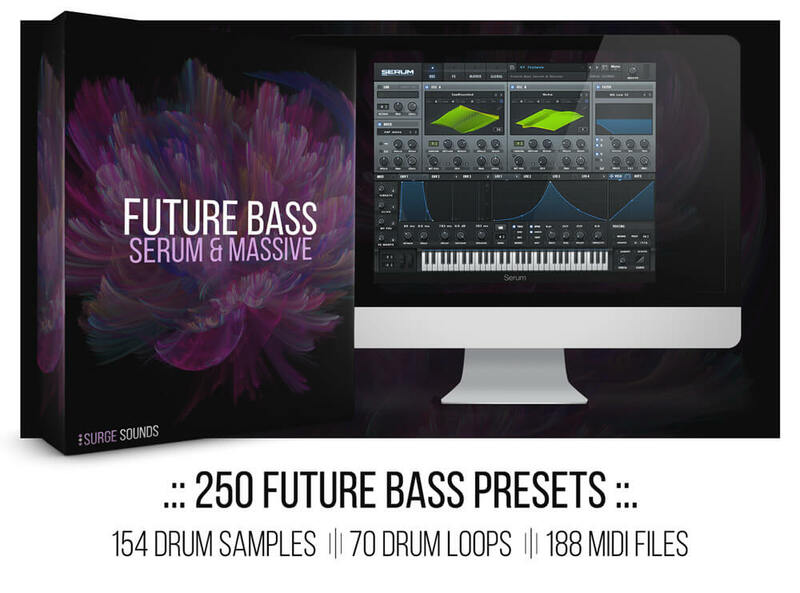 Even more we added 500+ Mb of bonus drum samples, drum loops, drum MIDI loops and Future Bass MIDI chords! 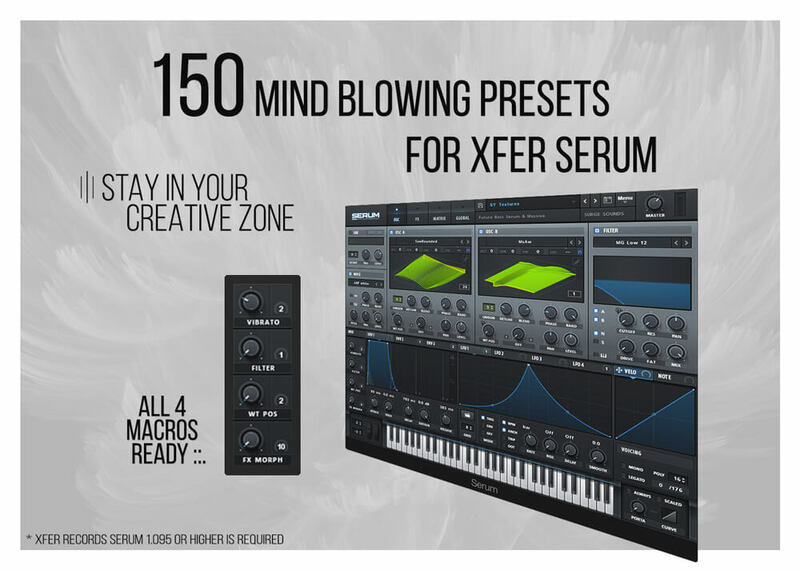 On every preset there are 8 macros for NI Massive and 4 macros for Xfer Serum at your finger tips giving you creative control and innovation to tweak and match them to your artistic sound. This is our 5th Future Bass pack so we have gone incredibly deep discovering and reverse engineering a ton of Future Bass sounds for you. In this adventure we also discovered a ton of engaging Future Bass chords which we are now releasing as a bonus to you! Inside you`ll find 78 Future Bass MIDI Chords in 6 popular Future Bass keys all ready to be dropped in your next production. We added audio for each chord that way you can preview and discover your favorites before dropping them in. If all that wasn’t enough we included 40 Future Bass Kicks, 40 Snares, 50 Claps and 24 HiHat samples. A total of 154 bonus drum sounds! All drum samples were processed with cutting edge studio techniques and are ready to be dropped straight into your project. Plus we created a total of 70 drum loops in 8 different BPMs and included all the MIDI so you can mix it up! We guarantee that what you hear in the demo is exactly what you`ll get so grab this pack today and start producing some ground breaking tunes with these mind blowing sounds! BA Deeper Reese, BA Kinetic, BA Deeper Sub, BA Falling Reese, BA Moogy, BA Voltage, KY Indie Keys, KY Exhale, KY Infinity, LD Chance, LD Debut, LD Cutie, LD Feedback, LD Sexytime, LD Flume style, LD Treat, LD Madness, LD Nostalgia, LD Tribute, PL Youth, SY Amnesia, SY Lovely, SY Never Be Like You, SY Squared, SY Still Looking, SY Symphobia, SY Take a Chance, SY Waking Up.